If you are a plumber and provide plumbing services then you can capture leads by promoting your services online with our responsive plumbing website design. Our responsive plumbing website design will help you to capture quality leads from all available screen resolution and devices. 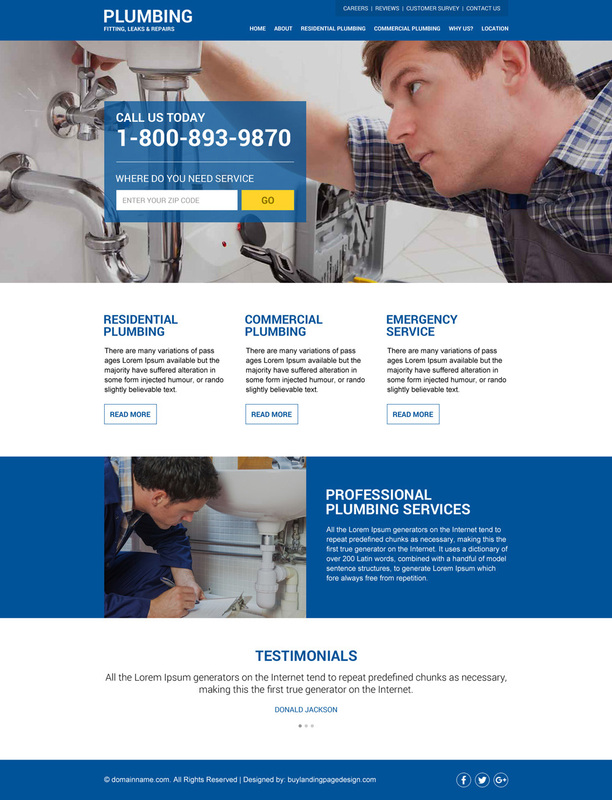 Boost your plumbing services online by using our effective, modern and professional plumbing services html website design at a very nominal price.